Step 1: on the application’s main interface, open the options menu that can be found on the upper left hand side. Step 2: now go to the bottom of the menu that you’ve dropped down in a new window and press on Settings. Step 3: amongst the different possibilities available in this menu, you’ll find Download Settings, and then General Settings. 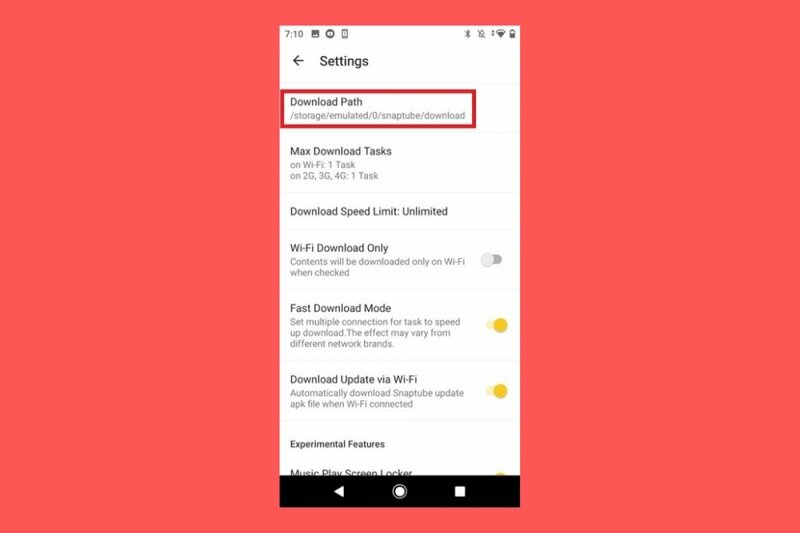 Click on the first of the items that appears, which is labelled as Download Path. Step 4: once you click on this option, you can choose between Internal Storage and External Storage. Choose the second option which will obviously only be available if you’ve got an SD card installed on your Android. In both cases, you’ll be shown the total space of each storage unit and how much is available at present. Storage: we can leave more storage space free on our smartphone. Thus, we can use it for those applications and running processes that necessarily have to be in the internal memory area. Possibility to export: if we keep our downloads on an SD card we can move them to other devices much easier and we won’t run as many risks of losing them as we can easily extract our card if our device where to stop working due to any kind of damage or problem.